Major resort: Salou holidays are the most popular of holidays to Costa Dorada, and for good reason too. This sprawling suburban resort has a magnificent stretch of coast, as well as several theme parks and water parks. 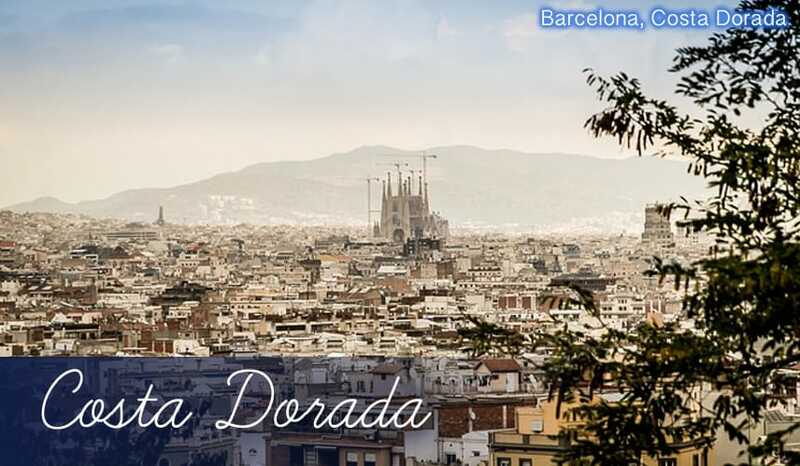 Combine these attractions with the vibrant nightlife and cheap restaurants and it all adds up to fantastic holidays in Costa Dorada! Action-packed holidays: The Port Aventura theme park in Salou is one of the biggest and best in Europe. Not content with just this attraction, Salou holidays also have not one, not two, but three fabulous water parks to choose from. Family fun certainly isn’t in short supply on holidays to Salou! Great beaches: The golden coastline of Salou holidays was the main draw when they became popular with tourists back in the seventies. Luckily, today the beaches have stayed much the same – lovely strips of soft, light sand leading to calm, clear waters. Torre Vella: Watchtowers are a common feature of most coastal towns along the Spanish coast, and Salou is no different. The Torre Vella was built in 1530 primarily as a means of military defence against invading pirates or armies. With cobbled walls and a large square courtyard, you can see the evidence of its medieval past. Surprisingly, it’s still in use today as an exhibition centre for local artworks and ceramic collections which you can now visit on your holidays to Salou. Port Aventura: This fantastically fun theme park is certainly one of best you’ll find on all your holidays to Spain. The different sections of the park are divided according to countries and periods from all over the world, including cactus-covered Mexico, the wooded saloons of the Wild West and decorative red temples of China. As you can imagine, the rides here are amazing too and Port Aventura can boast Europe’s fastest rollercoaster Furius Baco, which goes from 0-80mph in 3 seconds! If that sounds like too much and you fancy a more relaxing time on your holidays, there are slightly calmer rides too like the wet ‘n’ wild Tutuki Splash or the Corral-style maze. Water parks: When it comes to visiting water parks on your Salou holidays, you’re spoilt for choice! Aquopolis, Caribe Aquatic Park and Aqualeon are all within the resort of Salou and they offer fun, colourful rides perfect for family holidays as well as calming Jacuzzi pools and comfortable sun loungers. Salou Fountains: The fountain springs of Salou burst into life every night with a beautiful display coloured with bright lasers and timed to move with the music. You’ll find them just at the end of the main Jaime I promenade – the lasers are so powerful you can even see the neon pinks and greens reflecting off the water! They’re a wonderful sight and a great chance to catch some lovely snaps from your holidays to Salou. Llevant Beach: At 1.2km long, Levant is the longest beach on Salou holidays and it takes up a significant chunk of its 8km coastline. It’s a wide, sun-kissed stretch of light gold sand with excellent facilities such as clean showers, toilets and watchful lifeguards. The beach is so popular you’ll see that there are many modern hotels based around this area. Ponent: Another fairly long beach consisting of around 1km of golden sand. The best thing about this beach is the densely packed palm trees which line its boundaries. They give the whole area a very tropical feel. Llarga: A slightly smaller beach than the other two mentioned we’ve mentioned, but this is well worth a visit on your holidays to Salou nevertheless. That’s largely thanks to its pleasant natural surroundings, with the beach being lined with a forest of sweet-smelling pines. The Guinness Tavern: This Irish-themed gastro pub has a cosy traditional decor that works well with the heart warming food on offer. On the menu you’ll see Irish Stew cooked with a rich gravy, melt-in-the-mouth steak and deliciously sweet banoffee pie. The Waterfront: The standard of the British food on offer here is a step above your usual touristy restaurants. You can expect all the home comforts you love such as full English breakfast and pie and chips. The restaurant also doubles as a lively bar at night, serving all kinds of inventive cocktails. Prices are kept pretty low so you can be sure you won’t break the bank if you’re on cheap holidays to Salou. The Paddock: There’s a real eclectic mix of cuisines in this welcoming little restaurant. Dishes range from classic British dishes like egg and chips right through to Spanish Paella, Indonesian Nasi Goreng and Greek spiced lamb in pitas. Lively British bars: Salou holidays have become adept at catering to British tourists, and you’ll come across lots of British bars here that serve cheap drinks with a friendly smile. The 007 Bond bar, Rosie’s bar and Shankly’s are all good places to start. You’ll find that many of them have huge Sky TVs playing all the latest sporting action too. If you prefer your drinking to be of the more traditional variety on your holidays, you could always take you pick from the many classically styled pubs like The Red Lion, The Victoria and George & Dragon. That’s not forgetting the smattering of Irish pubs in the resort centre, like the Guinness Tavern (which we mentioned earlier as a tip for a superb restaurant) and the Shamrock. And if you fancy carrying the party on a little longer, head to the clubs including a branch of the legendary Pacha and the ever-lively Kiss or Flashback. Clothes shops: Salou holidays aren’t particularly famed for their wide choice of luxury shops, but what you will find is a huge number of bargain clothes outlets all vying for your attention and saving your pocket on cheap holidays in Salou. There’s also a decent amount of souvenir shops should you wish to bring some gifts home for your friends and family from your holidays in Salou. Bustling markets: There are two excellent markets in Salou. One is mainly held over the summer months with a strong focus on local arts and crafts, whilst the other is a lively street market held every Monday all year round in the centre of Salou.